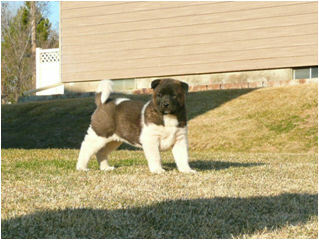 hello i have had my akita female puppy for 2wks now and she is simply amazing. brett sent me weekly pictures and updates on her and everything he said about her was true. when i buy a home i will be going back for a male puppy. 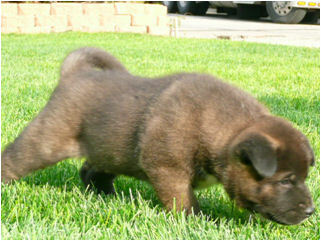 i definetly reccomend any one looking for a puppy to purchase one from black spot akitas, thanks brett. I RECENTLY BOUGHT A PUPPY FROM BLACK SPOT AKITA AND I WOULD LIKE PEOPLE TO KNOW THAT THE BREEDERS ANSWERED EVERY QUESTION AND CONCERN I HAD VERY QUICKLY! WITHIN 24 HOURS AND THEY ALSO SENT ME WEEKLY PICTURES AND A DESCRIPTION OF HOW THE PUPPYS PERSONALITY DEVELOPED. ALSO UPON MY REQUEST THEY SENT ME COPIES OF SHOTS THAT MY PUPPY GOT WHILE IN THEIR CARE. 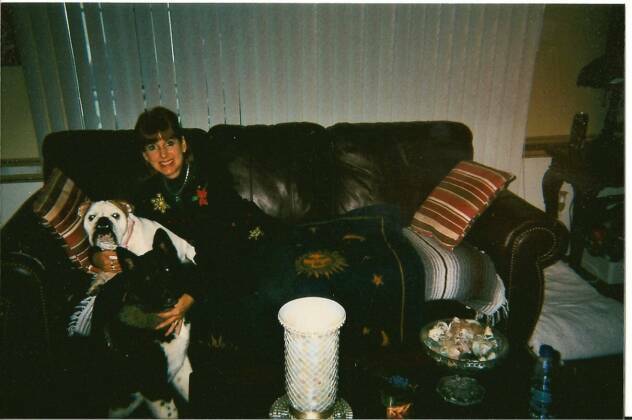 ALSO THEY WORKED VERY HARD TO BOOK A FLIGHT TO THE CLOSEST AIRPORT FOR MY CONVENIENCE I DO NOT THINK YOU WOULD BE ABLE TO FIND A BETTER BREEDER THEN BLACK SPOT AKITAS SINCERELY, JOSEPH BONACQUISTI 4/6/09..
Just recieved my pup, Ali, from Black Spot Akitas. It has been an unusually pleasant experience, and this pup is amazing. 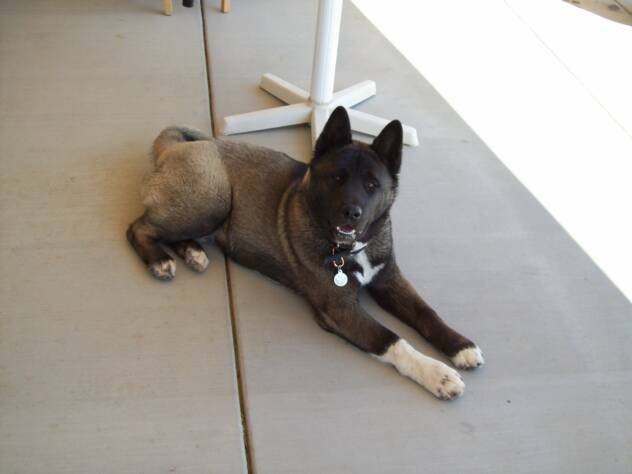 She arrived after being in a plane, crated for 10 hours, with an impressively good attitude, and fit right into the household with grandkids, kittens, and our other Akita, which I was very worried about. Would recommend Brett to anyone looking for an Akita. Good job, Brett, and thank you. Last December, I purchased a puppy from the breeder, and she has been such a wonderful, smart, and easy to housebreak puppy, I cant give her enough praise. She is so very loyal, and has a great temperment. She is only five months old now and already showing signs of being a great guard dog. 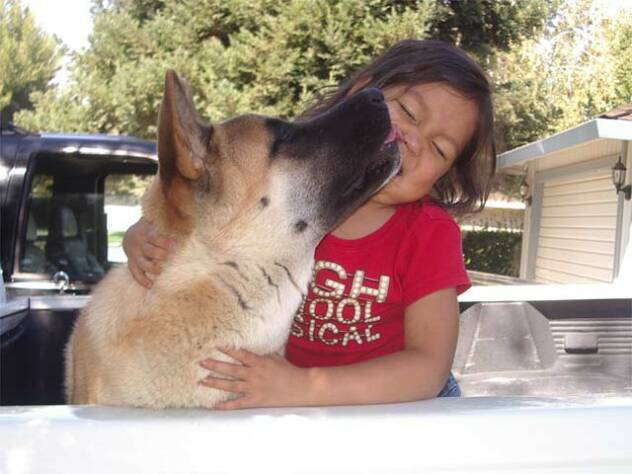 She is good with children, and very easy to train. I am always getting complitments on her everywhere I take her. People are always asking where I got her, and saying how beautiful she is, Im very proud of her indeed! Buying a puppy from Black Spot Akitas was a pleasure. My new puppy arrived healthy and happy. 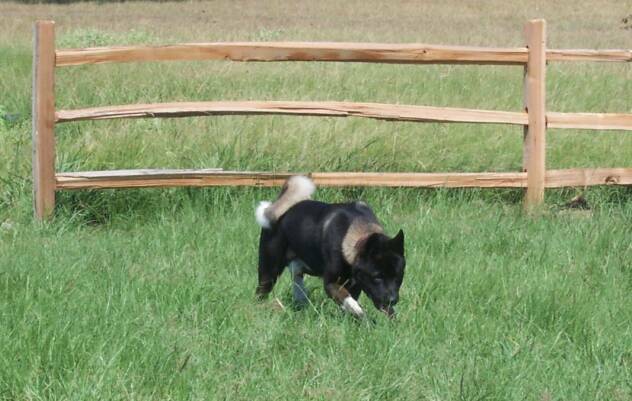 Brett is a experienced breeder and had already trained Cain to come when you say his name. We received emails and pictures of him every week. We had never bought a puppy over the internet and it was a little scary but Brett put us at ease through out the entire process. 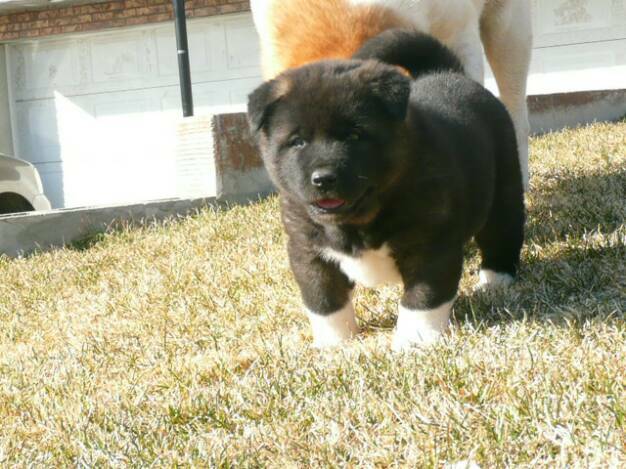 I would recommend Black Spot Akitas to anyone looking for an Akita puppy. I can not express in words how truely satisfied i am with Black Spot Akitas. I have wanted an Akita for years but it wasn't until a few days ago that I actually was able to pick one up. From the minute I contacted Black Spot everything went smoothly. From setting up putting my deposit down through weekly pictures of my puppy to the shipping and final delivery of my puppy ..everything went very smooth not a single "hiccup". And to top it off this is the most unreal puppy I have ever had..he is very very well socialized..happy..healthy and active..he has become the joy of my life overnight. I was expecting to spend the next few weeks or so house breaking him..he's been with me 3 days now and hasn't had a single accident in doors.It's like he was sent here house broken.. 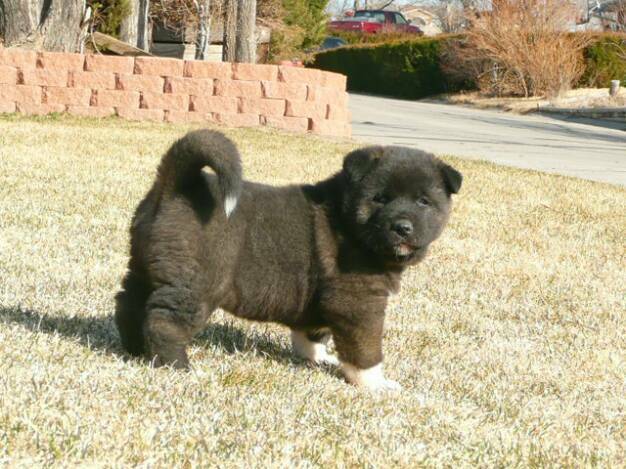 Anyway if you are looking for an Akita look no further this is the breeder you want to deal with. 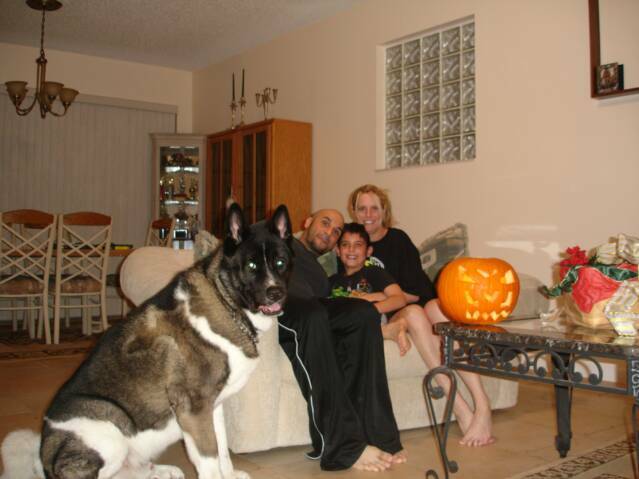 We got Titan from you back in October of this past year. He as been such an amazing addition to our family. He is getting so big. He is about 82 pounds at 7 months old. We are loving him so much. He is extremely smart and has the BIGGEST personality. He and our boxer are getting along so well and hate being apart. We take them both everywhere with us. He was a little leary of children at first but we have really exposed him as much as possible and he is doing really well now. We can't thank you enough for creating this big bundle of joy. Everyone who has met Daisy can't believe how well-behaved she is. She was really easy to train and is a good guard dog. More than anything, she's just a sweetheart who seems to love company. 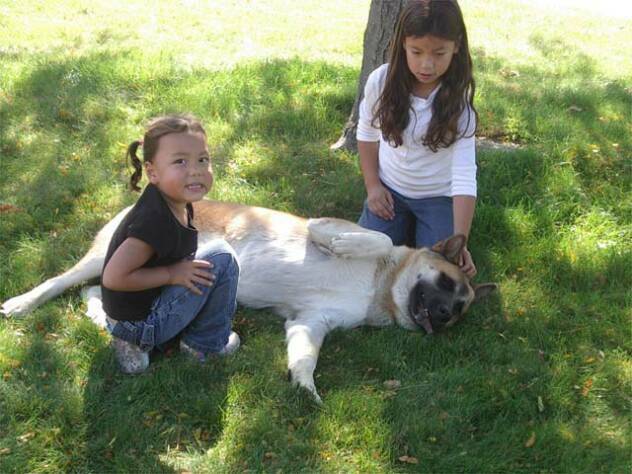 I have two nieces, ages 8 and 3, who live nearby and they come over and play with Daisy. The older one, Mariah, is a little shy around Daisy because of her size, but my younger niece, Alanna, has no fear when it comes to Daisy and they play together for hours. Black Spot Akitas (Brett & Mica Johnson) are by far the classiest, top grade breeders I have ever dealt with!! I bought two puppies from their litter born 1/16/2010 & they are wonderfully bred. Brett & Mica are very available from the first contact on. These are my third & fourth akitas, so I've had dealings & researched MANY other breeders in the past(some good & some not so good), so I know excellence when I see it. 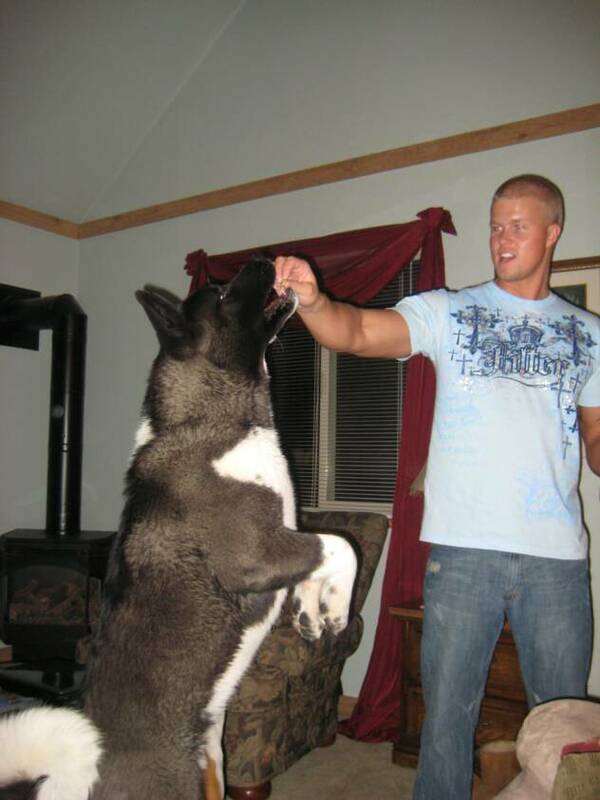 If the akita is your dog of choice, make sure you buy it from Black Spot Akitas. You will be so happy you did!